The Surrey Eagles remained in the CJHL Top 20 for a second straight week and moved up one spot to #13 on the list after Sunday's victory over Cowichan Valley. The Birds are one spot ahead of the Victoria Grizzlies but sit behind the Penticton Vees who are the top ranked BCHL team this week at #10. The Nanaimo Clippers were also given honourable mention. CALGARY, Alberta (March 4, 2013) – As most leagues within the CJHL are already into their playoff schedules and the balance of the leagues on the eve of their own playoffs, the CJHL is pleased to announce the Final Top 20 Weekly Rankings for the 2012-2013 regular season. The Dauphin Kings continue a most impressive close to their season as they finished the MJHL regular season on a 20-game winning streak. Meanwhile, in the BCHL, Nanaimo – host of this year's inaugural Crescent Point Energy Western Canada Cup – have finally gotten on track with three impressive wins this week over Coastal Conference leaders Victoria Grizzles (twice in overtime), and their first round playoff opponent, the Alberni Valley Bulldogs. Salmon Arm and Trail continue to fight for the last open playoff spot in the BCHL in the tough Interior Division. The Brooks Bandits have capped off one the most impressive seasons ever in the CJHL with a near wire-to-wire finish atop the Top 20 Rankings. However, the Bandits will face tough competition in the AJHL’s South Division as the Okotoks Oilers, Camrose Kodiaks and Drumheller Dragons appear ready for the playoff battles. The AJHL’s North Division looks to be as competitive as ever, with Spruce Grove, Grande Prairie, Bonnyville, Fort McMurray and Whitecourt making it as hard as ever to pick a favorite. The North Bay Trappers continue to put distance between themselves and the Soo Thunderbirds as the NOJHL gears up for its own playoff schedule. In the CCHL, Ottawa is hanging on to first place overall in the CCHL, but the Senators will be pushed hard by Carleton Place, Cornwall, Nepean and Pembroke. In Quebec, the Saint Jerome Pantheres took home the Regular Season Championship with a last season push to edge the College Francais de Longeueil. Both teams will be looking to become the first Quebec team to win the Fred Page Cup since 2006 when Joliette went on to compete at the RBC Cup. The MHL’s Summerside Western Capitals appear ready to contend for the national championship as host of the RBC Cup. But their ride through the MHL playoffs will not be easy as Yarmouth, Truro, Amherst and Woodstock appear to ready for battle too. The CJHL Top 20 weekly rankings are based upon a variety of factors, including the league in which the team plays, winning percentage, win-loss record, total points accumulated, goals-for versus goals-against ratio, etc. 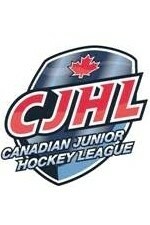 The Canadian Junior Hockey League is a national organization comprised of all 10 Junior A hockey leagues in Canada. The CJHL represents more than 120 teams and 2,500 players and has over 2,800 former players furthering their hockey careers at the professional, major junior and college level across North America. For latest CJHL news and features, visit www.cjhlhockey.com and follow us on Twitter at twitter.com/cjhlhockey or @cjhlhockey.